In Classroom Plus, teachers and members of curriculum groups can easily create a preview of attachments (.docx, .pdf, pptx, .xls) inside the Loop! Remove the nuisance of students clicking onto other sites and instead, have students quickly view documents in one place. Select one or more files from your device. Drag and drop the files anywhere inside the dotted lines. 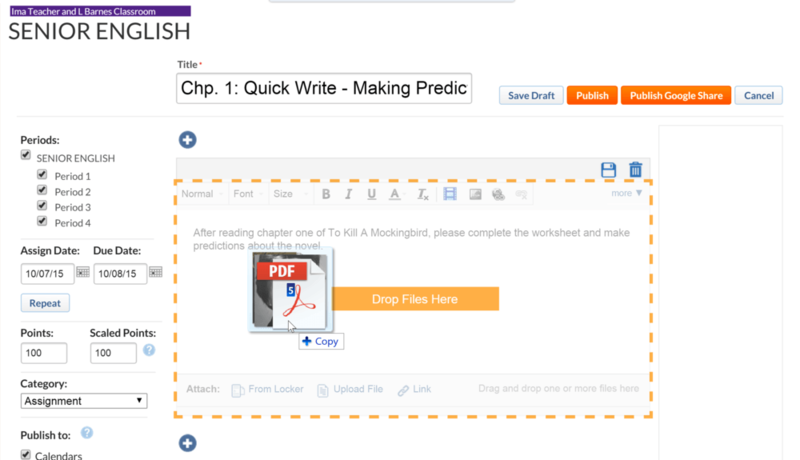 Click the Create Preview Below button to add a preview of the document in a separate module below. 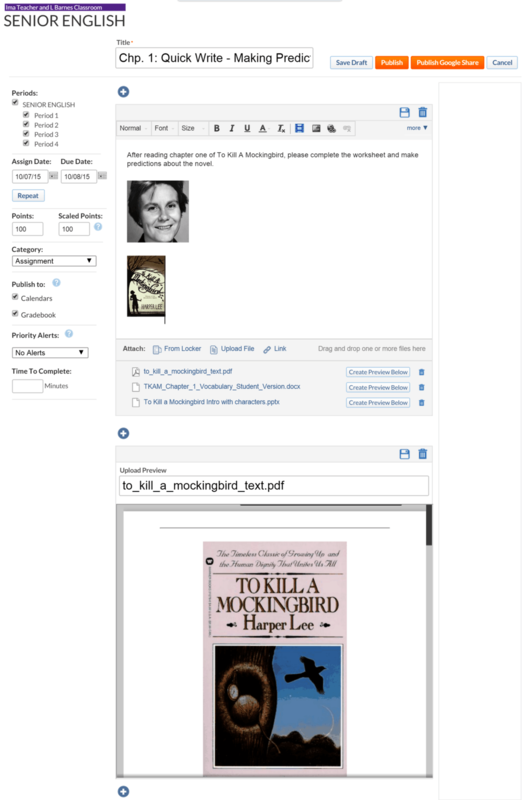 You can create a preview for each of the documents attached and reorder the preview modules by simple dragging and moving them into the order you prefer. Your images will automatically appear in the editor as well. Double-click on an image to access the Picture Settings to resize, rotate, flip and make other edits. You can also drag and drop the images to rearrange them. NOTE: To delete a preview, click the trash can icon at the top of the module. The preview description you added appears on the curriculum groups' page.